I have been musing for some time about the size of bottle in which wine is sold. There are more options for buying wine in a wine bar or restaurant: new technology like wine on tap and different size glasses of wine, yet there appear to be fewer options to buy smaller volumes in a wine store. That appears to be the case in Vancouver at any rate. If we want to enjoy one or maybe two glasses of wine at home, we are faced with opening a regular sized 750 ml bottle and then trying to keep the remainder fresh for a couple of days, sometimes using tools like the vacuum pump. Most likely we forget about it and then end up pouring it into my special “left-over-wine-for-cooking” bottle. I am thinking about checking out the availability of half bottles of wine. My mental antennae are on alert for smaller bottles when we eat lunch at Chez Alain, a favourite restaurant for Sunday lunch in Issigeac, a medieval village in the Dordogne, SW France. At five tables around us on this particular Sunday, I count five smaller sized bottles of Chateau Le Tap organic white wine; it’s their Bergerac Sec; a Sauvignon Blanc, Semillon and Muscadelle blend. 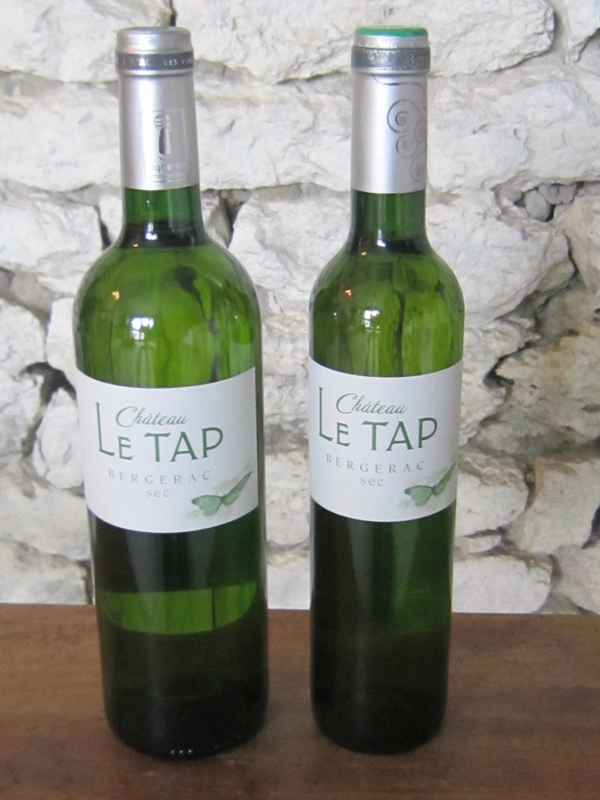 We talk to the restaurant staff and they tell us that these 500 ml bottles of Chateau Le Tap wine are popular, particularly for two people having lunch or dinner. This makes perfect sense to me and I am determined to visit Olivier Roches, the Proprietor at Chateau Le Tap. 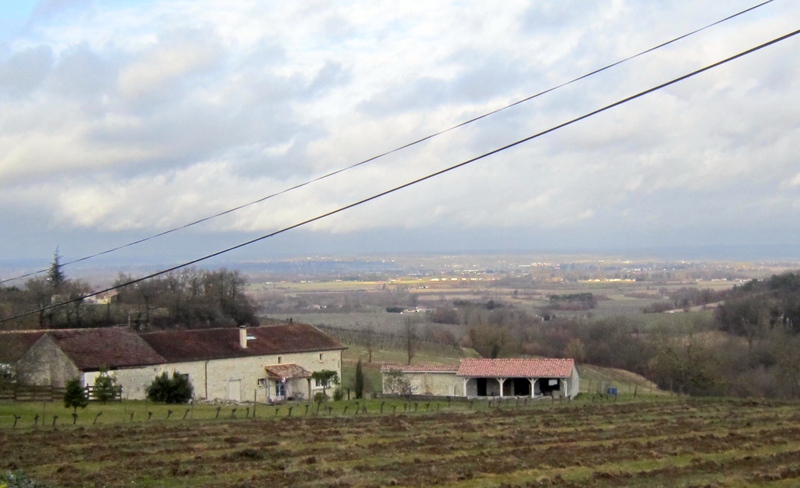 Chateau Le Tap, a family run winery in the Bergerac Wine Region, is located at the edge of Saussignac, a small, rural village south of the Dordogne River. Olivier and his wife Mireille and their children have lived there since 2001. They are part of a long established winemaking family from the Pécharmant appellation wine making area of the Périgord Poupre. After the usual pleasantries and introductory chitchat, I ask Olivier about the 500 ml bottles. He tells me he sells these mainly to restaurants. He has been bottling his Bergerac Sec white wine in the 500 ml size for about 10 years. As he also makes Saussignac appellation late harvest wine, which is mainly sold in 500 ml bottles, he has the capacity to also bottle his Bergerac Sec wine in the same fashion. He says that while the regular size 750 ml bottle of wine is the norm, there is definitely a market for the smaller size bottles as people increasingly pay attention to their wine drinking habits. As I am visiting Olivier Roches and his winery, it is interesting to explore Chateau Le Tap wine production in general. 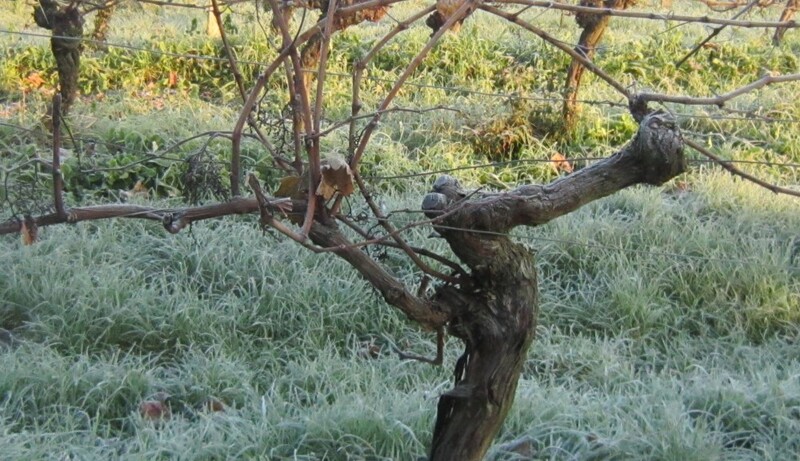 Chateau Le Tap was certified as Bio, an organic producer, in 2007. Echoing the comments of all the wine-makers I have met, Olivier Roches’s focus is always to improve quality. In pursuit of this goal, this year he is restructuring his vineyards. He tells me his approach to wine making is practical and guided by scientific principles. He sells his wines mainly in other parts of France and to several Northern European countries as well as to local clients. Guests at his two well-appointed Gites on the property can also buy wine and enjoy it on their doorstep. Beyond this Bergerac Sec Blanc that I like with its aromatic, long and fresh taste, I sample other offerings in the Chateau Le Tap suite of wines. Another white wine is the Bergerac Sec Cuvée 3G, named for his three sons/garçons. This 2011 wine is an interesting blend of Sauvignon Gris (10%), Semillon (20%), Sauvignon Blanc (30%) and Muscadelle (30%). The description on the website is silent on the remaining 10% of the blend. This wine won the Médaille D’Or Concours des Vignerons Indépendants de France 2013 and the Selection Guide Hachette 2014, clear recognition of Olivier Roches’s wine making skills. Olivier’s top of the line red is the Cuvée JulieJolie named for his daughter. With 80% Merlot and 20% Cabernet Sauvignon, this has the hallmarks of blackcurrant and cherry, soft tannins and all the subtleties of a good quality wine. Chateau le Tap do not at present market their red wines in smaller bottles. If my observation of the Chez Alain customer interest in enjoying lunch with a smaller bottle of wine is anything to go by, it seems to me that Chateau le Tap is meeting customer interests at the restaurant with their 500 ml offering of white wine. As I leave Chateau Le Tap and think about what I have learnt, I remind myself that a book I have just finished reading has further stimulated my interest in smaller bottles. The story, “Jeeves and the Wedding Bells” is the author Sebastian Faulks’s homage to P.G. Wodehouse (1881 – 1975), the English humourist and prolific writer. Wodehouse’s books about the funny, fantastic, fictional antics of Bertie Wooster and the famous Jeeves, his Gentleman’s Personal Gentleman, set in pre-World War II English upper class society have amused generations of readers. “. the half bot. was a loosely recorked red of a most fruity provenance; the solids included a wedge of veal and ham pie that could have jammed open the west doors of Salisbury Cathedral”. 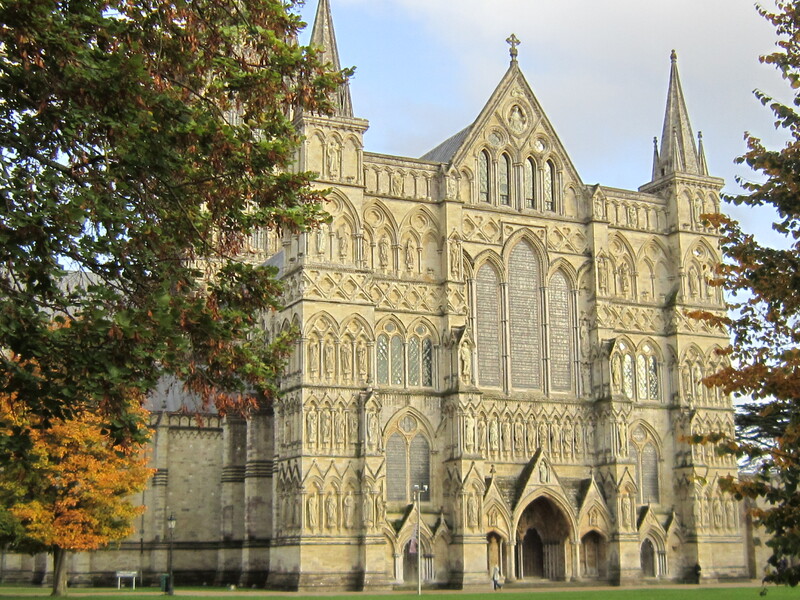 Salisbury Cathedral, which houses one of the four originals of the 13th century Magna Carta, is in my hometown of Salisbury, Wiltshire. Being born and bred in Salisbury, my imagination is certainly stimulated by Bertie Wooster’s reference to the wedge of veal and ham pie. All humour aside, it’s interesting to note that in the fictionalized world of Bertie Wooster in the early 20th century, that a half bottle of wine was commonplace. To follow up on my earlier thought of checking availability of smaller or half bottles of wine, I set off one morning in Vancouver on a fact finding mission. Limited in scope, I visit two wine stores. A BC Liquor Store and an independent wine store. The BC Liquor Store is one of the 195 retail stores in the (British Columbia) BC Liquor Distribution Branch network operated across the Province of British Columbia. The other store is privately owned and operated. In the BC Liquor Store, I am advised that the few half bottles in stock are displayed near the cash register along with small bottles of spirits and liqueurs. The selection is six red wines from different countries and four whites, including a prosecco. In the independent wine store, a varied and larger stock of half bottles is prominently arranged together at the front of the shop under a sign indicating Half Bottles, creating an eye catching display. In discussing these wines with the sales person, who mentions that people buy the half bottles both to limit wine consumption and also to try new wines, we agree that buying half bottles is for drinking fairly soon, as the wine ageing process is accelerated in smaller bottles. It’s funny how disparate thoughts can pull together. My interest in finding out about the availability of smaller bottles of wine was piqued by our experience at the Restaurant Chez Alain, the work of Olivier Roches at Chateau Le Tap and the humour created by fictional Bertie Wooster and Jeeves, followed by some Vancouver-based fact finding. Inspired by this information, I’m off to choose a couple of “half bots.” We’ll see how we get on. I think Bertie Wooster would approve. This entry was posted in Bergerac Wine Region, French Wines, Literature, organic wines, wine tasting, wine tourism and tagged Bergerac wine region, Bertie Wooster and Jeeves, Chez Alain, Dordogne, French wine tourism, Issigeac, Magna Carta, P G Wodehouse, Salisbury Cathedral, Sebastian Faulks, South West France, wine travel by elizabethsvines. Bookmark the permalink. We used to enjoy the 250ml bottles that the Arrow Leaf winery used to supply. Our favourite wine was their organic Merlot. Sadly, they seem to have ceased that bottle size. I think there is more of a market for smaller bottles now. Thanks for your comment. I love how you connect literature and wine (and food). Nicely done! I will have to go on a search for some ‘half bots’ myself now. Thanks. I enjoy looking for those unexpected connections! Yes, the Â½ bottle size suited us perfectly and we enjoyed them filled with our favourite Merlot from Arrowleaf which they used to sell in 375ml bottles – alas no more. Happy New Year and thanks for your comment. Will email separately.